If you like this free game, try Toy Defense 2. The game submerges you into a vivid tropical world of wild planet Gloria-6, covered with shady woods, where colonists from Earth, torn from home, are forced to confront the mysterious and formidable Dryans - an intelligent race of Gloria-6 aborigines guarding their secrets from strangers jealously! A brave leader of the colonists will need all his skills of strategic thinking, quick decision-making and an ability to wage most challenging battles against superior enemy to lead his men to victory. However, as soon as the player just seems to have all the secrets of the Dryans unraveled, the game takes an unexpected turn hastily and introduces us to other, even more ancient and unpredictable plot collisions! Download free full version game today and dive into the middle of a war! 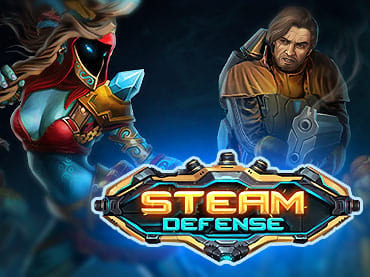 If you have questions about Steam Defense game, please contact us using this form.